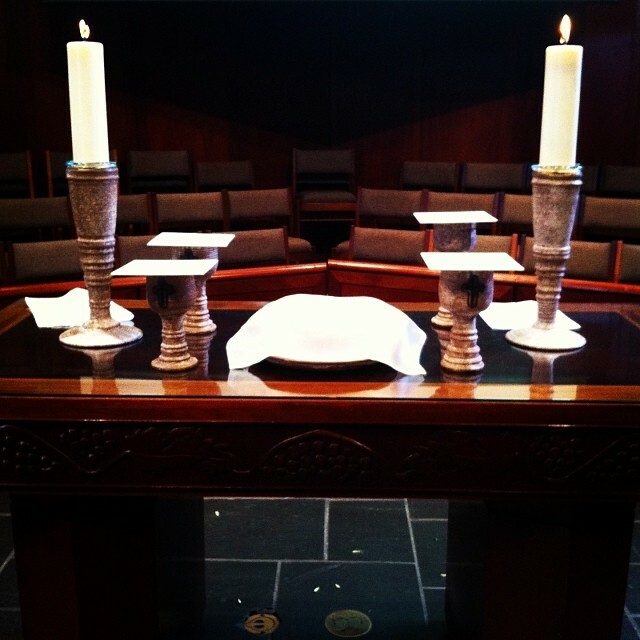 I don’t preach often, but I did today in The Table service at Christ United Methodist Church. Our pastor for this service, Tom Fuerst, was preaching in the main services today, and for some reason is unable to preach at The Table and in the 11:00 service at the same time, so I was glad to help out and do this for the first time. I think we have lightning in a bottle at this service, and I’m excited about all the potential it has. It’s smaller than the other services at the church, and it fosters a more intimate atmosphere as we share in the ancient + modern liturgy which always culminates at communion, all as we’re encircled by all the stained glass windows in Wilson Chapel. I’m thankful to have had the opportunity and for the patience of the congregation–there was quite a trip we needed to take with this passage and I’m glad we were able to make it all the way around to spend some time with Paul, and then reflect on how all of this truly leads to the table and our shared meal together.